Beaufort, established in 1711, is the second oldest city in South Carolina. It predates the founding of the United States by 65 years. It is situated in the Low Country on Port Royal Island along the Atlantic shore. By virtue of its age and location, it has been a participant and a witness to the events that shaped our country. 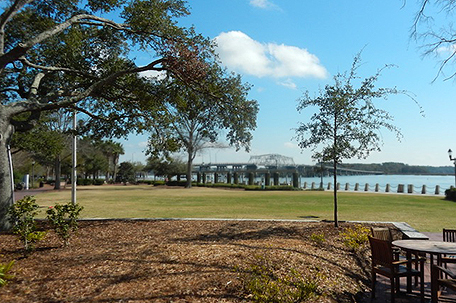 No matter how you choose to experience Beaufort, you should begin with the 7-acre Henry C. Chambers Waterfront Park and the adjacent downtown Marina. There are historic markers and views of the inner coastal waterway. Movie fans can tour Hollywood movie locations on a walking tour and on the Pat Conroy Literary Tour. Conroy, author of “The Great Santini,” lived in Beaufort. 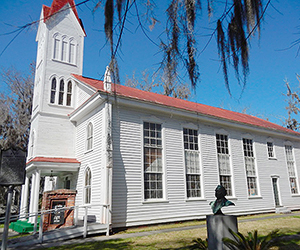 Included on a tour of sites important to the author is the Pat Conroy Literary Center. The guided van tour is 90 minutes. The Milton Maxcy house was built on the site of a 1740s house in 1810. It was remodeled in 1850. The palatial Greek revival home is known as the Secession House because it was there that meetings, as early as 1851, were held that led to the decision to favor secession. The owner at the time, Edmund Rhett, a rabid secessionist, enslaved 42 people. Prior to the Civil War, South Carolina was the richest colony in the nation due to its succeeding eras of deerskin, indigo, rice and cotton trades. The first colonial settlers arrived from Barbados in 1690 with their slaves. It quickly became apparent that slavery was very lucrative and by 1860 enslaved people were 57 percent of the state’s population. 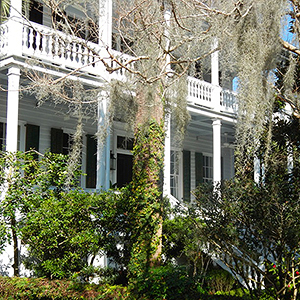 Low Country plantation owners flaunted their wealth by building elaborate summer homes in Beaufort, many of which still stand and make up a Landmark District. The Nov. 7, 1861 Battle of Port Royal led to early Union occupation of Beaufort. When the Union soldiers marched in in December, the sole remaining White resident was in the post office and was informed that no harm would come to the town. The Union was left with an empty town and more than 10,000 abandoned slaves, arguably the first freed slaves in the war. By 1862, missionaries, many from Philadelphia, arrived. The U.S. government permitted the freedmen to continue to run the plantations with profits given to the government. Many of the federal taxes on Beaufort homes went unpaid and they were sold at auction. Some were purchased by the formerly enslaved. One case, in which the home was purchased by the former Black housekeeper, went to the Supreme Court. The former owner lost the case. Robert Smalls was born John McKee’s slave in Beaufort in 1839. McKee took him to Charleston in 1851 and hired him out. He eventually worked on the Confederate troop ship CSS Planter, where he became capable of doing every job. While the White crew was ashore on May 13, 1862, he loaded the ship with his family and other Black crewmen and their families, dressed as the captain and sailed the ship through Charleston Harbor. 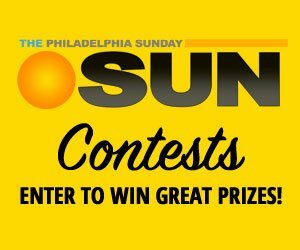 He turned the ship over to the Union and received a $1,500 bounty and heroic status in the North. He was promoted to captain of the gunboat Planter in 1863. Also in 1863, he met with Lincoln to discuss the fate of the contrabands. In 1868, he attended the State Constitution Convention. He served in the State Legislature from 1868-1874 and the House of Representatives from 1875-1887. His home, a T-shaped 2-story house on Prince Street, was McKee’s former home. When his master’s wife became ill, Smalls moved her into the mansion. His family retained ownership until 1953. 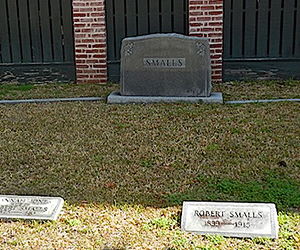 Smalls died in 1915 and was interred in a family plot at the 1863 Tabernacle Baptist Church. A memorial to Smalls is on the grounds and will be joined by a life-sized statue of Harriet Tubman, who served as a nurse in Beaufort.